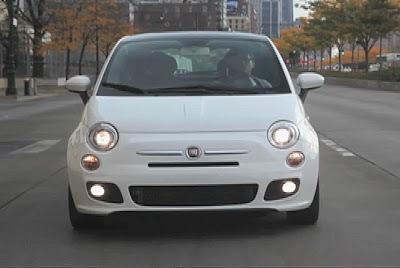 Road & Track magazine has posted a first drive impression of the 2012 Fiat 500 on their site. Rest assured, this positive review will be the first of many here in the US. 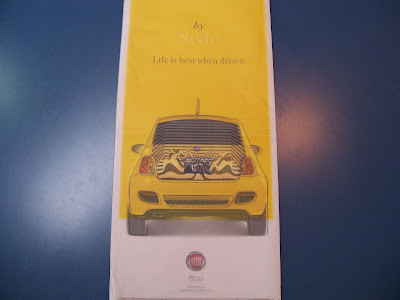 "...the Fiat 500 is not just a small car, but a very stylish small car, as only the Italians can do it, and New York is a place where flair and hipness are appreciated. Wherever we stopped, people walked up and admired the car—and every one of them knew exactly what it was." Here are two interesting interviews of Laura Soave done by the Detroit Free Press this past week. They give some background on how she was chosen to lead Fiat's re-introduction to the US market and how the Fiat 500 will be marketed. 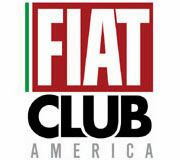 Don't forget to keep checking FiatUSA for site updates. 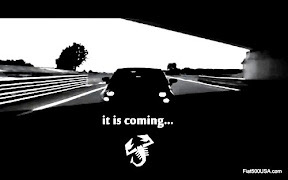 They are coming! MSN posted an article on 10 cars that refuse to die. 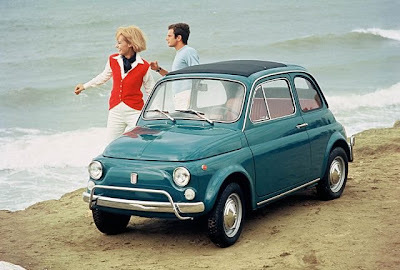 Number six on the list is the Fiat 500, made from 1957-1975. 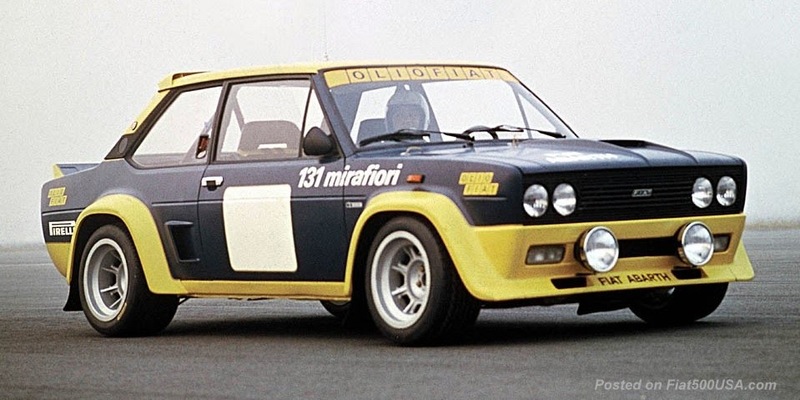 Readers of this blog already know the history of this legendary car, so it's not a surprise to us. In the article they say "...the Italian maker cranked out 3.4 million between 1957 and 1975, many of which are still plying Italy's narrow streets today. It helps that the two-cylinder car is outrageously simple -- basically, a lawnmower with a roof." 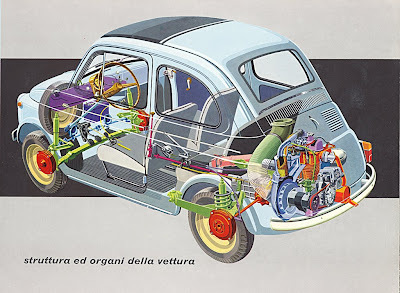 However, this statement doesn't do the Fiat 500 justice, because, although the 500 appears to be simple, it is an engineering and design masterpiece, created by two of the most legendary automotive designers/engineers of the 20th century; Dante Giacosa and Aurelio Lampredi. You can read more about this iconic design here. In appreciation for everyone who has made Fiat500USA.com popular, I am opening up my photo archives to the public. Currently the archive holds over 1800 pictures (and growing), and I am working on making the vast majority of them public for all to enjoy. I will be adding these pictures over time (there are A LOT! ), so check back often. It's the most wonderful time of the year and in celebration of your Prima Edizione reservation, we wanted to get you a little something for the holidays. Inspired by your authentic passion of for life, please enjoy this limited edition original work of art. A poster exclusively designed in appreciation of your genuine loyalty. 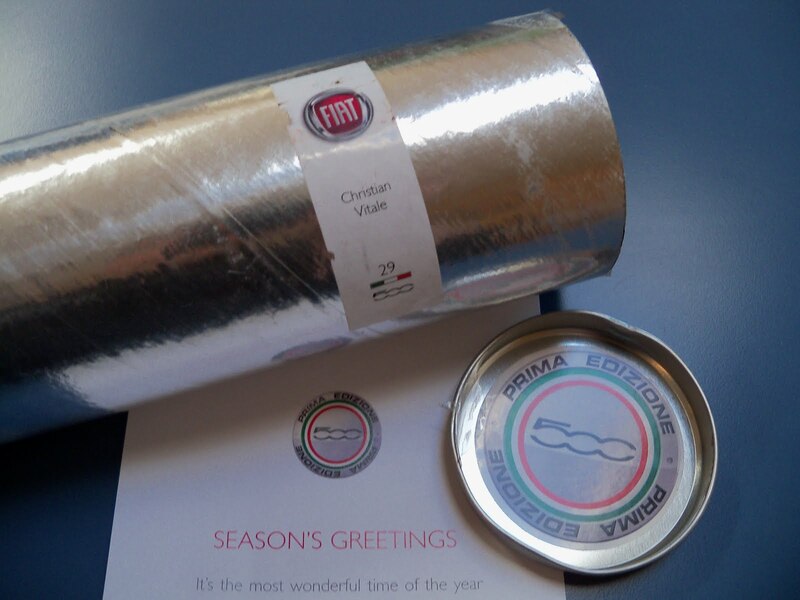 From all of us at Fiat, may all your dreams come true this holiday season. 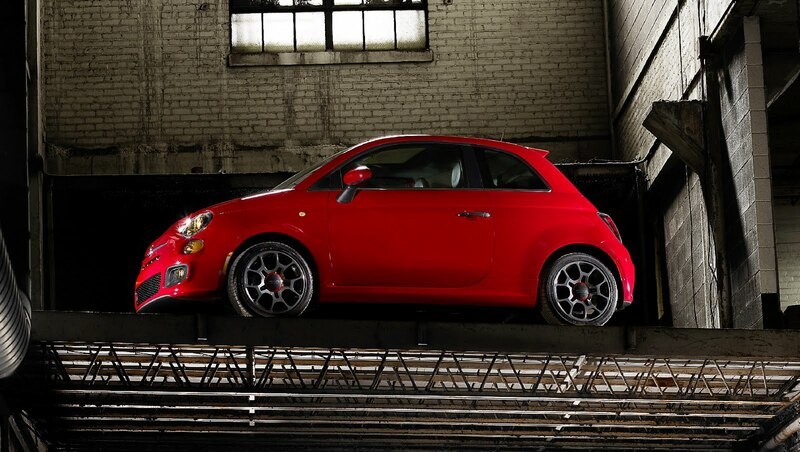 The Fiat 500 is poised to take America by storm. When was there a $15,000 car that had a press kit so sought after enough to command $275? 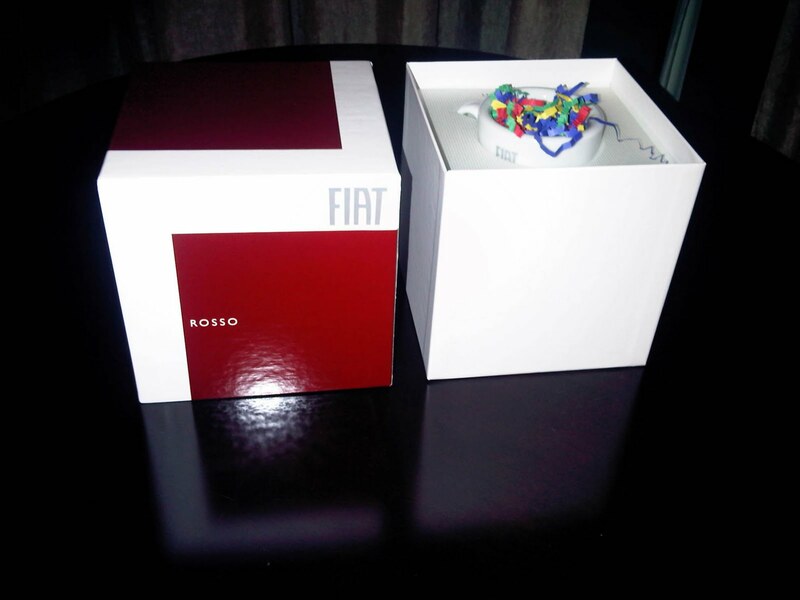 That is what a recently auctioned off Fiat 500 press kit sold for on Ebay. Folks, this is no Versa, Yaris or Fiesta. The Ebay auction is the latest indication of this fact. 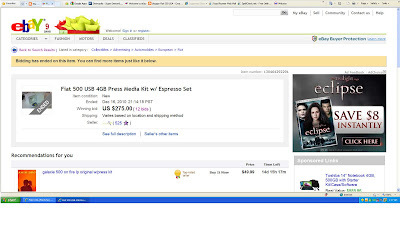 Normally press kits sell for $10 or less... compare that with Fiat 500 press kit's going rate of $275. Values like these are usually reserved for exotic and premium models and not $15,000 - $20,000 automobiles. Simply put, we are witnessing the start of something big and not seen here in this country for a long time, if ever. A car that spans all economic and social status. 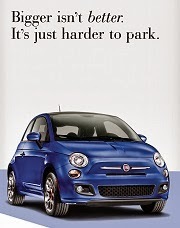 Young, old, rich or just starting out, the Fiat 500 is the car for anyone who enjoys and wants the best out of life. Read more about the Fiat 500 Press Kit here. 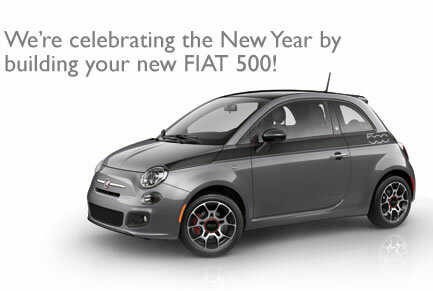 With 2011 right around the corner, so too is the assembly of your Prima Edizione FIAT 500! Production of the FIAT 500 begins this January in bright, modern facilities with "World Class Manufacturing" processes designed to create state-of-the-art assembly, efficiency and leading-edge product quality. And our benchmark processes don't stop there. Each and every vehicle will be thoroughly tested and inspected prior to delivery to ensure that your FIAT 500 meets our standards — and yours. Delivery should occur in mid to late February. Which means we are also extending the deadline to the end of February for you to complete the purchase of your vehicle. In the meantime, dealers are busy putting the finishing touches on our Studios. 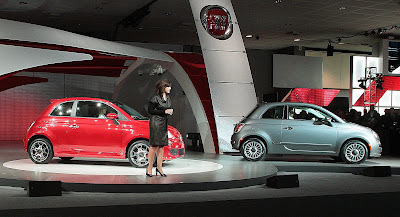 We'll also be sending you details about the FIAT Studios in your area. Soon, we will make history by introducing a new car company to North America. We appreciate your patience as we finalize operations. 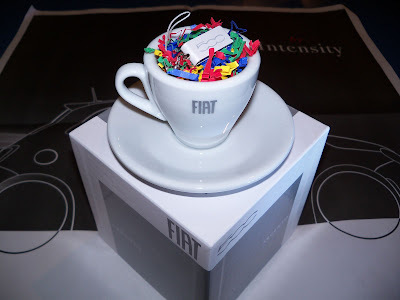 Look for more updates regarding the assembly of your Prima Edizione FIAT 500 — and more importantly, its delivery date. In the meantime, I wish you a wonderful holiday season. 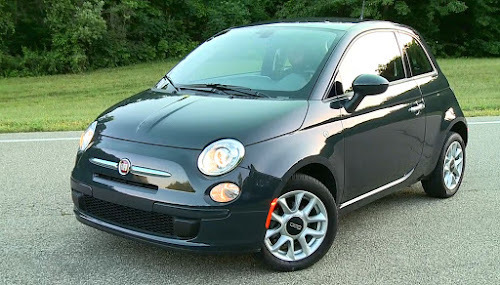 This article is part two of an earlier post where we began examining the differences and improvements of the 2012 North American Fiat 500 over the European version (read part one here). 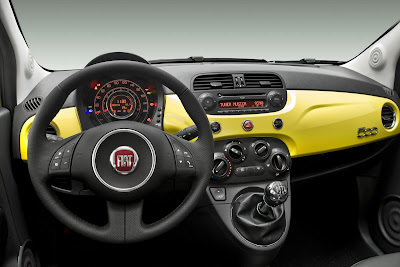 We'll continue the story of the new Fiat 500 with a look at the interior and other key features. 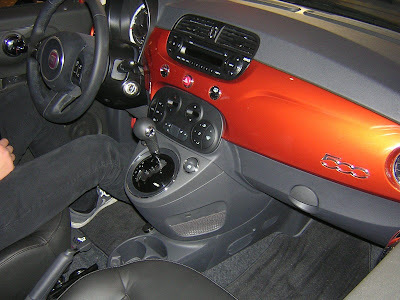 The US Fiat 500 Sport seats...note the armrest. 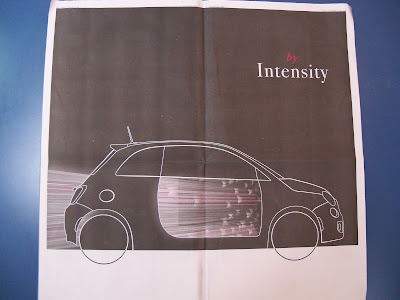 To adapt the Fiat 500 to American driving requirements Fiat looked at how we drive. Americans typically spend more time commuting in their cars, with commutes of an hour or more being typical. 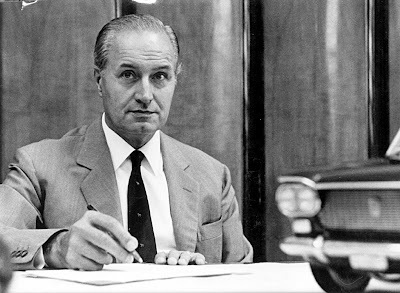 To accommodate these requirements, Fiat redesigned and improved the driver and passenger seat comfort, specifically in the seat cushion area. An armrest was also added to enhance comfort and entry to the rear seat has been improved over the European car with an easy access system. 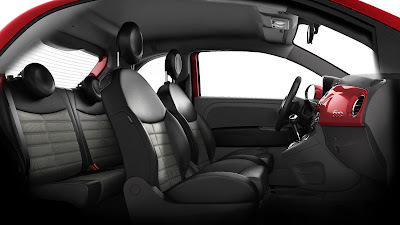 ... the European Fiat 500 Sport seats. 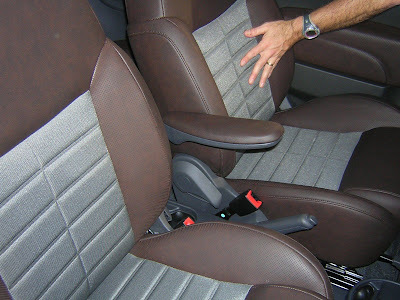 The US car has a more cushioned seat, more suitable for long distance driving. The differences between the two cars are very hard to detect in this picture. 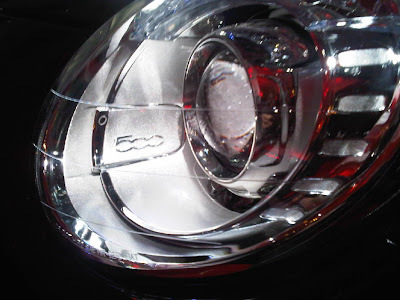 The US Fiat 500 has round power window switches outlined in chrome trim and no parting seam (see below). 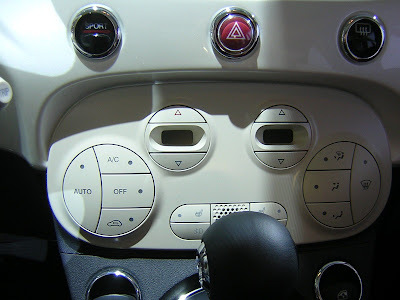 The European Fiat 500 console has squared off power window switches with a construction seam running just below them. The US Fiat 500 has optional heated seats. You can see the controls just to the left and right of the shifter. 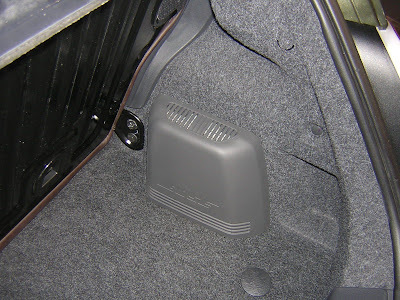 In Europe, heated seats appear to be a dealer installed option with switches installed between seats near the handbrake. New heated-seat controls have been relocated to the lower instrument panel for added convenience, while larger heated-seat elements provide front-passenger comfort in colder weather. 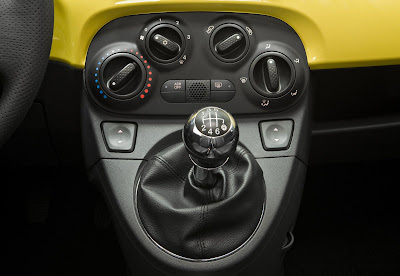 The US Fiat 500 has cruise control with the control buttons having been added to the right side of the steering wheel. These replace the radio controls of the European car, which are now combined with the left side steering wheel controls. 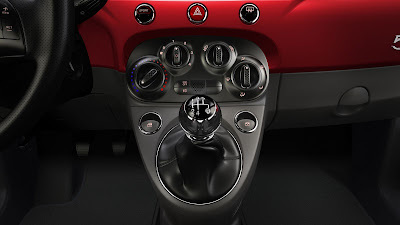 The European Fiat 500 has radio controls on both sides of the steering wheel. One area often mentioned in road tests on the European 500 was its road noise level. This has been thoroughly examined and addressed with newly designed floor, tunnel, trunk and instrument panel sound-deadening material. Additionally, new body and door seals, along with foam-in-place carpeting, help make the US Fiat 500 the quietest version yet. 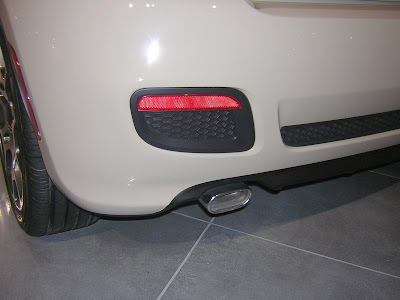 The heating and ventilation system has also been upgraded for the North American climate. 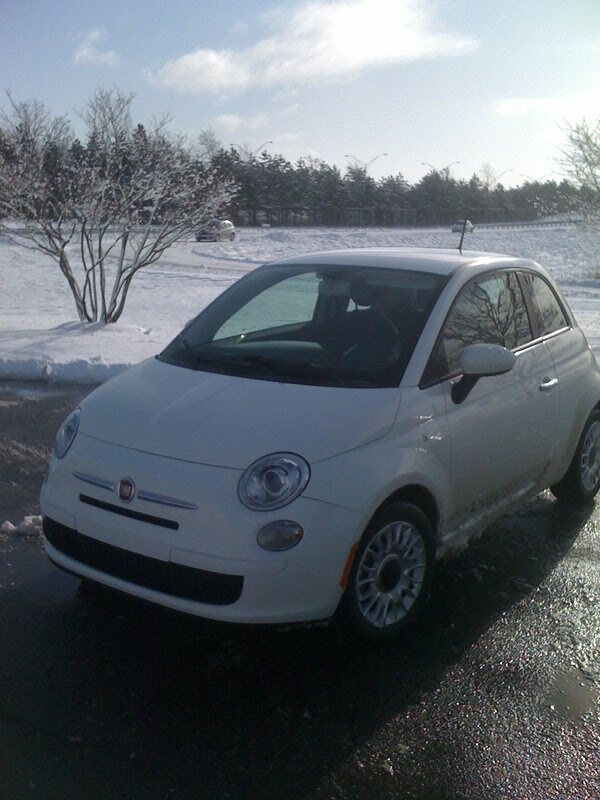 Be it the frigid weather in northern Canada or the torturous heat of Death Valley, the Fiat 500 has been adapted to handle these extremes in stride. 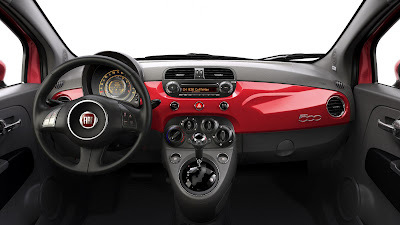 Here is another shot of the console in the US Fiat 500. It has a cleaner look without the seem running through the middle of it. Also note the glove box lid and the storage netting on the side of the console. 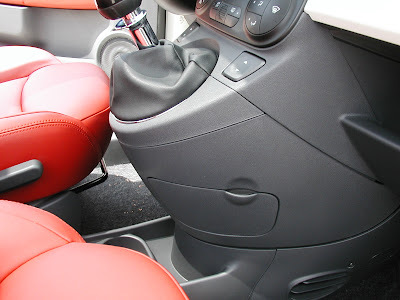 Just visible are the enlarged cup holders. 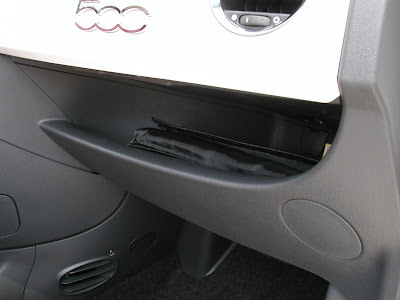 The European Fiat 500 has a package shelf under the dash with a small drop down compartment for the owners manual. 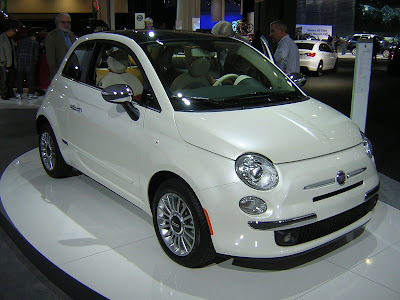 ... to the US Fiat 500 Sport. They look very similar but there are some differences, the seats appear to be taller and slightly larger. 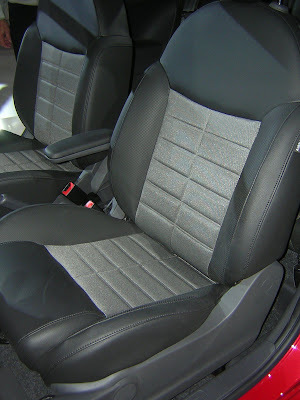 The front seat headrests are of the active type (they move to protect the neck in an accident) and the head liner is in black. 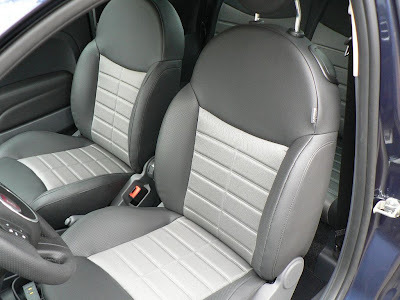 The Pop and Lounge versions have a light color headliner like the European car. 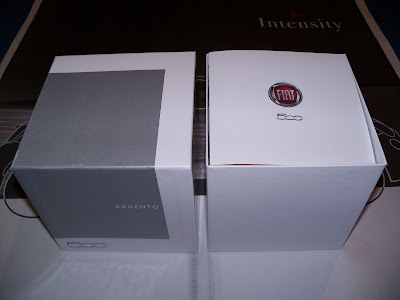 In Europe, Fiat offers a premium stereo upgrade for the 500 called the "Interscope" sound system, and comprises of six speakers (two tweeters, two woofers and two full-range, all 40 W), one 100 W sub-woofer and a 30 W amplifier. In the US, a new BOSE® Energy Efficient Series (EES) premium audio system is available. 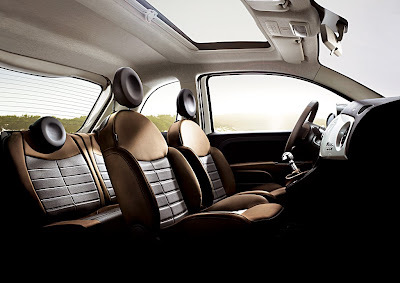 The Bose system is engineered for a vehicle's unique acoustic signature and in the Fiat 500, features six premium speakers and a subwoofer. This component of the Bose sound system is the amplifier. 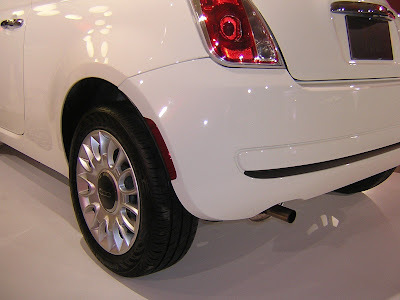 The US Fiat 500 stows the optional space-saver spare tire under the car. 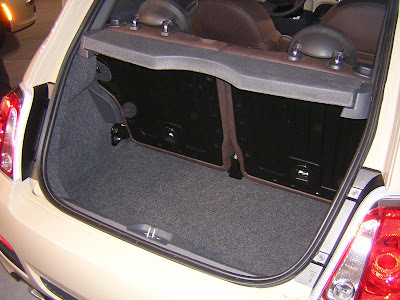 The European car keeps its spare inside the trunk. Speculation suggests this was moved to increase luggage capacity and/or to accommodate the strengthening of the rear chassis for higher speed US rear crash standards. We'll try to confirm this. Criswell Fiat of Gaithersburg, Maryland will receive one of the first Fiat 500 demo cars in the country. 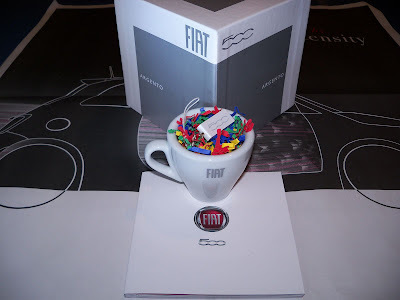 Fiat sales manager, Giles Bibic says the car should arrive very shortly, within a weeks time. 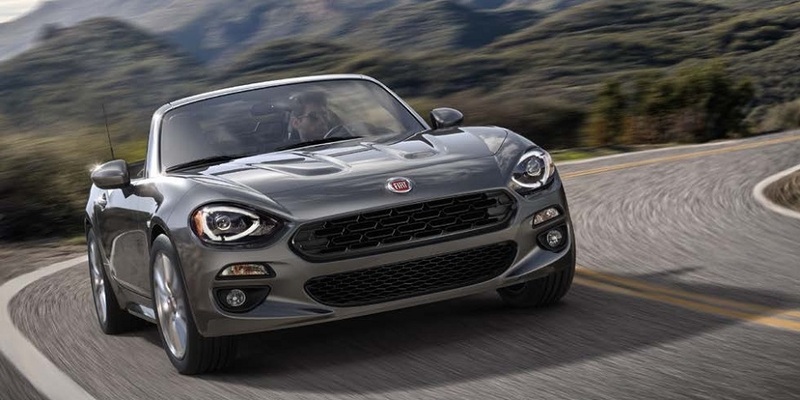 Criswell Fiat will be one of the very first Fiat dealers up and running in the US and will receive their demo car ahead of others who are not as far along in their facility requirements. 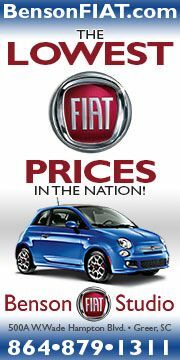 Check them out here: Criswell Fiat and call 1-888-418-2268! 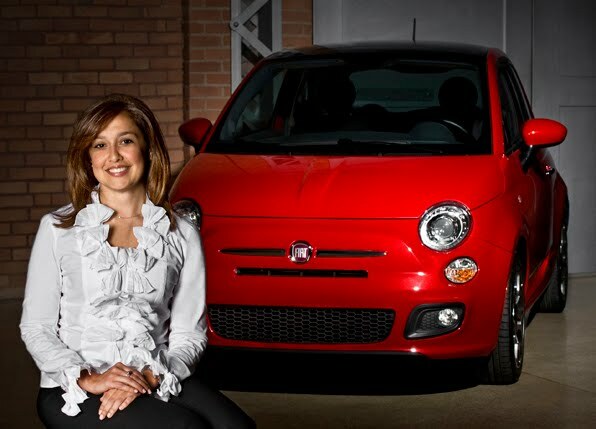 Fiat spokesman, Ariel Gavilan, has been quoted in the Florida newspaper, Sun Sentinel saying: "... every dealer should have a 500 on display by the end of January, or early February at the latest. 'The car will be built in Toluca, Mexico,' he said, 'so it's likely dealers that are closer, such as the one in San Diego, will have cars before the dealers up here in Detroit.'" 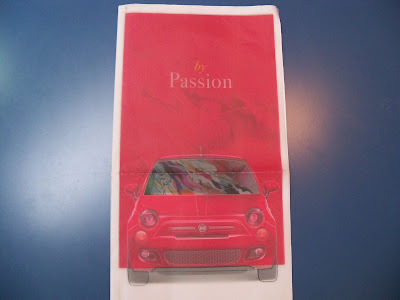 Fiat USA treated newspaper readers throughout the country with an advertising pullout for the Fiat 500 this past week. 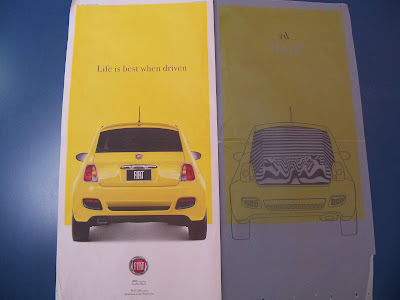 The pullout is a teaser ad that gives a glimpse of the car and the 500's "life is best when driven" theme. Teaser ads are used at the very beginning of an advertising campaign, and are designed to create curiosity, and even mystery, that gets attention for the campaign that follows. 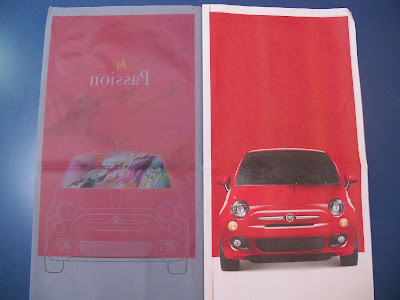 Expect to see more of these teaser ads for the Fiat 500 as we get closer to the media blitz within the next few months. 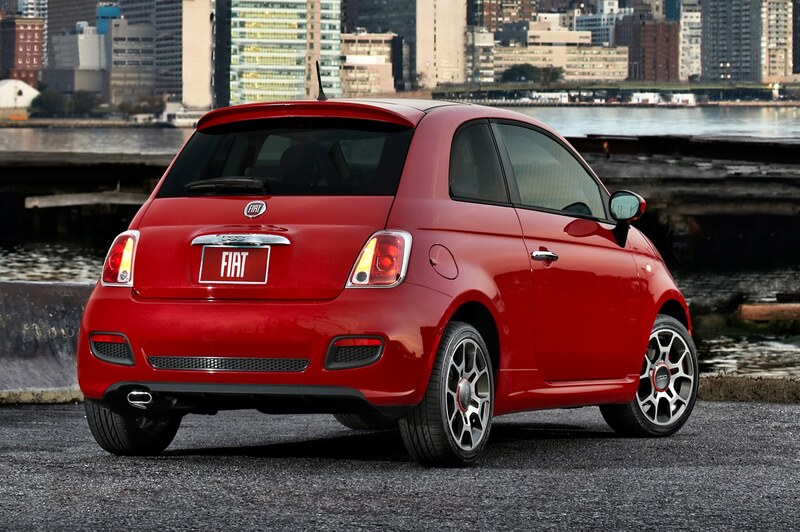 Efficient, elegant, useful, the design of the Fiat 500 can be described many ways. You would expect no less from the design of its very own press kit, which deserves special mention. During the development of the press kit, there was a desire to provide the “Fiat Experience” and not just a traditional media kit. 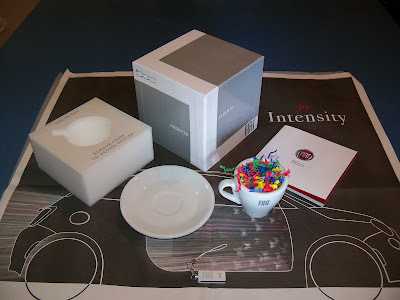 The resulting design cleverly incorporates the press kit booklet, espresso cup and saucer, and 4-gig jumpdrive containing images in an elegantly packaged, tiny watch-box-like size. 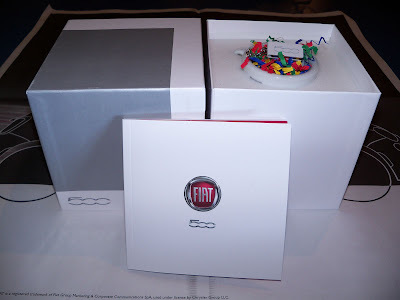 The press kits were presented to the media during the Fiat 500's launch and quickly became one of the most coveted items during the LA Auto Show. Here are some pictures and details of this rare item. Presentation box measures approximately 5" x 5" x 5"